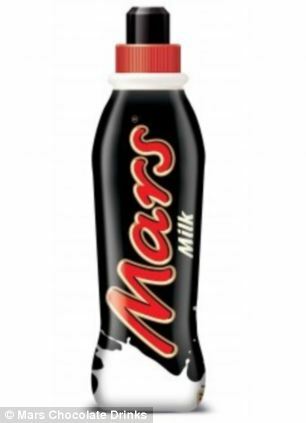 Mars is recalling thousands of bottles of chocolate milk over fears that they could cause food poisoning. Drinks including Mars Milk, Snickers Shake and Galaxy Smooth Milk are among those which consumers are being warned not to drink after ‘elevated levels’ of a type of bacteria was found. The strand of bacterium found in the bottle, type of one known as Bacillus, produces toxins which can cause both vomiting and diarrhea. It is usually found in prepared foods, particularly rice and leftovers, and can also be present in sauces, soups, and other foods that have sat out too long at room temperature. The recall applies to batches carrying a best-before date between 19 December 2014 and 11 April 2015, inclusive. The drinks were manufactured by German company Milchwerke Mittelelbe GMBH for Mars Chocolate Drinks. She confirmed that the U.S. market is not affected as the bottles are not sold there. Bottles of sports-cap drinks and larger 750ml ‘fridge pack’ drinks are being recalled. Sports-cap bottles of Mars Milk (350ml, 376 ml), Starburst Strawberry Drink (350 ml), Bounty Drink (350ml), Snickers Shake (350ml, 376 ml), Skittles Wildberry (376 ml), Galaxy Smooth Milk (350ml, 376 ml), Milky Way Milk (350 ml), Mars Caramel Milk (350ml) and Skittles Fruits (350, 376ml). Consumers are also warned not to drink Mars Milk (750 ml), Galaxy Smooth Milk (750ml) and Skittles Fruits (750 ml). She continued: ‘Mars Chocolate Drinks have spoken to the Food Standards Agency (FSA) to ensure all requirements are being followed. Product recall notices are being displayed in stores where the drinks are sold, advising consumers of the recall and what they can do if they have bought the affected products. In a statement on their website, the Food Standards Agency said: ‘The Food Standards Agency has been informed by Mars Chocolate Drinks that it is recalling certain date codes of its milk drinks. ‘This is because they contain elevated levels of a type of bacteria known as Bacillus, which can cause food poisoning. Customers can contact the Mars consumer care team on 0800 952 0084, by post to Freepost, Mars Consumer Care, or online by visiting the Mars website. 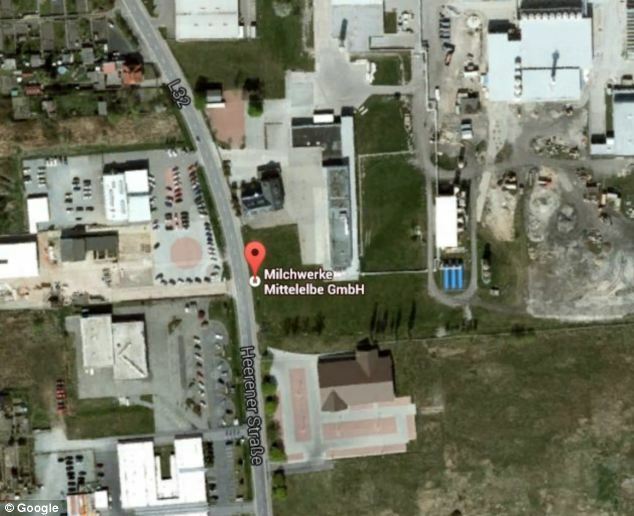 Manufacturers Milchwerke Mittelelbe GMBH have been contacted by MailOnline for comment.